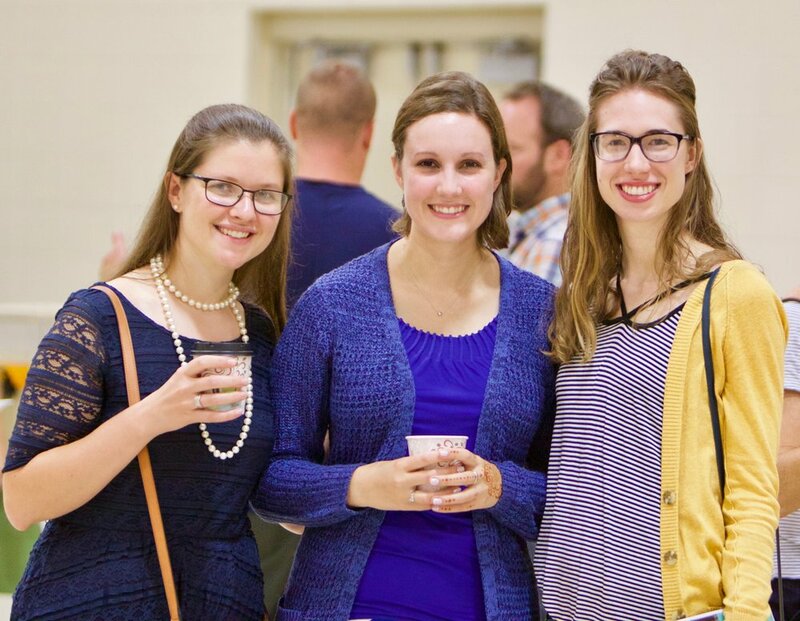 We encourage you to dress in a manner appropriate to worship. Some like to dress up, others prefer more casual attire. We're just happy your here. Our entrances are in both the front and rear of the building. We have a parking lot in the back, where there is also an overhang for drop-offs during inclement weather. You may also park on the streets around the chapel. Need to freshen up? Our restrooms are in the center lobby across from the curved desk. Have an infant or toddler four-years and under? Our nursery is by the front door (the one that faces the street). Our sanctuary has two entrances, but beware: the one by the curved desk enters the front of the sanctuary. Talk about awkward! If you arrive after 9:30 we recommend the side entrance, unless you enjoy grand entrances. Pick a seat, any seat. We do like to reserve the back three rows for families with young children. Think warm and friendly. Seriously. Visitors are taken back by how many people go out of their way to welcome them. We’re like a bunch of golden retrievers (only we don’t have tails to wag – that would be weird. Come to think of it, we don't have fur either). Our main service is pretty standard: we sing, we announce upcoming events, we pray together, we have a message that helps us understand how to apply the Bible to our everyday life. On the first and third Sundays of the month we celebrate the Lord’s Supper. The service ends around 10:45 (unless the pastor gets long-winded, in which case we open the trap door under the stage. It’s worth coming just to see that). Then at 11:00 our Connect Groups begin. You don’t want to miss these. Connect Groups give you an opportunity to discuss and apply what you’ve just learned. The sermon notes include questions that are used to guide the discussion. If you came with a friend from BTC, feel free to attend the group they go to. If you don’t know anyone (don’t worry, that won’t last long), just stay in the sanctuary and visit the group that meets there. We have three adult groups, another for teens, and three for children (a.k.a. Sunday school) which meet downstairs. We are a multi-generational church, and we like it that way. We understand that taste in music differs from generation to generation, which is why we make it a point to employ worship styles that appeal to all ages, from contemporary to traditional. Whatever we do, we try to do it well and to keep it fresh. We love children. We actually believe that children are smarter than we give them credit for. Which means that we encourage you to keep them with you during the main service. Contrary to popular belief, children do listen and actually get something out of the sermon. Just ask them. 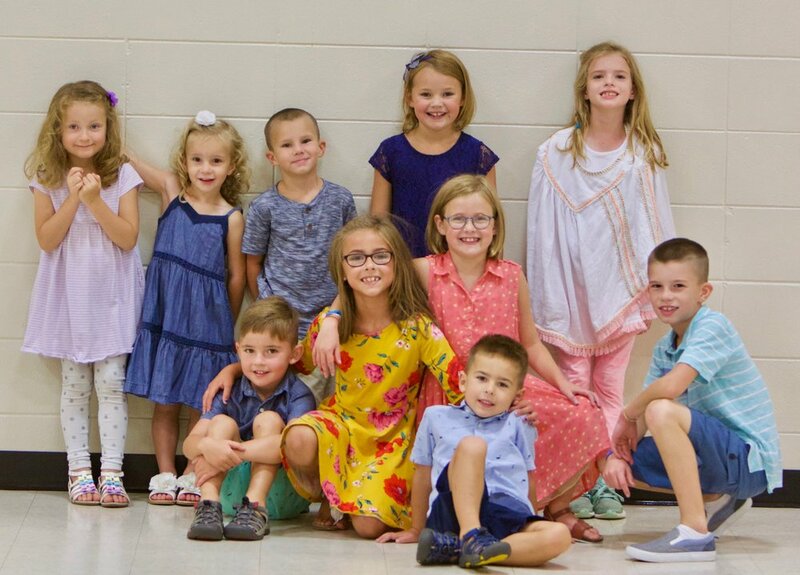 We do offer a nursery during our 9:30 and 11:00a gatherings, and Sunday school classes for children ages three years to fifth grade at 11:00a. Will I be asked to do anything embarrassing? You mean, like stand up and yodel? No, we haven’t done that for years. But seriously, we encourage you to just sit back and relax. We may acknowledge visitors, but we won’t point you out. In fact, we don’t even expect you to put anything in the offering as it goes by. We celebrate the Lord’s Supper on the first and third Sunday of each month. After a brief meditation, we distribute the elements and ask participants to hold each until after we give thanks. We then take part together. The Lord’s Supper is an opportunity for those who have made a conscious decision to trust Christ as their Savior to remember His sacrifice for us and to thank Him for it. If you are a believer, and are walking in obedience to God’s Word, we invite you to celebrate with us. If not, then we invite you to just observe, and to feel free to ask any questions you have afterwards.